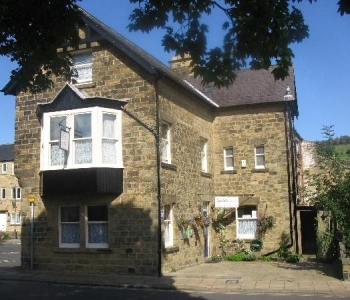 Accommodation in Pateley Bridge, North Yorkshire. Our 7 day weather forecast for Pateley Bridge updated throughout the day, making it ideal for planning leisure activities, travel and events. Read more about our weather forecasts. Our weather forecast for Pateley Bridge is updated throughout the day and has been found to be very reliable for planning activities such as days out, leisure, travel, events, fishing, golf and gardening. Lyndale Guest House is a Victorian property set in Pateley Bridge in the heart of Nidderdale, classified as an Area of Outstanding Natural Beauty. With beautiful walks available in any direction as you walk out of our door. You will receive a very warm welcome from your hosts Steve and Lynne. All rooms are spotlessly clean and have en suite facilities with tea and coffee tray and other little extras. A Deliciously Yorkshire Breakfast is served (or other options) using local produce, to set you up for the day. Whether you are walking, cycling, sight seeing or attending functions in the area you will have everything you need in this small town. We have secure cycle storage and can arrange pick ups and drop offs for walkers.